The University of Notre Dame ranks No. 15 among large organizations in IDG’s Computerworld 2018 list of the Best Places to Work in IT. 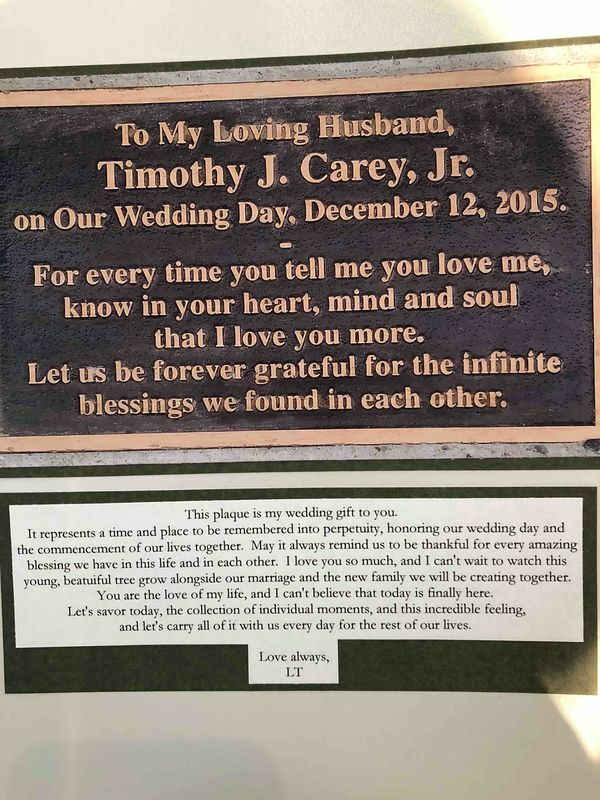 Photo of the plaque at Tim and Lauren Carey’s tree and the message in the handmade album Lauren presented to Tim on their wedding day. In addition to the top overall award, the University was recognized for its use of the cloud for backup and disaster recovery. The University of Notre Dame ranks 11th among large organizations in the Computerworld 2017 Best Places to Work in IT list. This is the fifth year in a row that Notre Dame has ranked among the top 100 organizations that provide challenging work for information technology employees while providing great benefits and compensation. The first Notre Dame App Challenge concluded on Wednesday, March 29, 2017 with presentations by each of the four final teams to the judging committee and the public in Mendoza's Jordan Auditorium. Zoom is Notre Dame’s preferred audio and video conferencing solution. It is available for faculty, staff and students to use at no cost. This convenient conferencing tool can be used in the classroom tool just as easily as it can in the conference room.